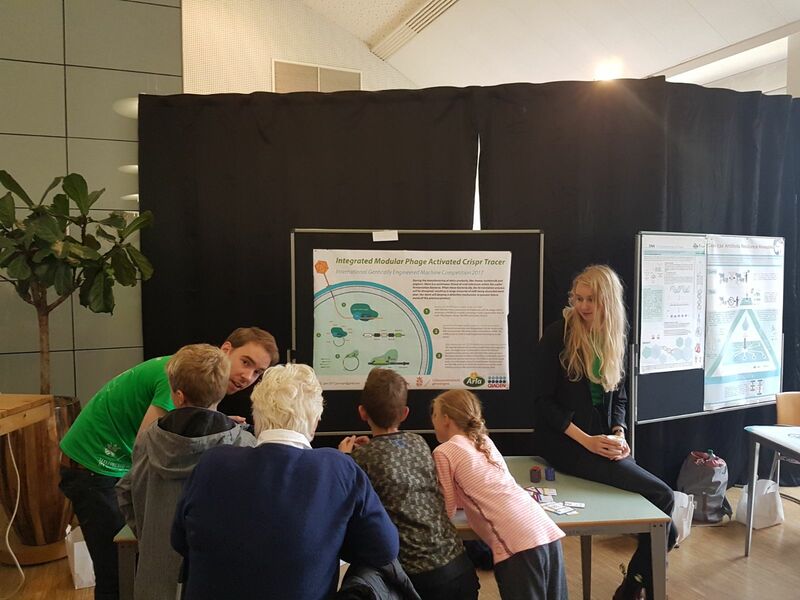 Engagement with the general public and education about synthetic biology has been a core aspect of our project. We believe it to be of the utmost importance, for the future acceptance and safe use of genetically engineered machines. To achieve the use of not only our product but also other biotechnology innovations, understanding from the public about the large possibilities of synthetic biology is essential. Therefore, we invested quite a lot of effort in attending public events at an early stage to get the dialogue going. This provided a fresh perspective for us from people not generally familiar with the topic. For education, we collaborated with multiple organizations, such as Science Linx, RIVM and Scholierenacademie. As we wanted to gain more insight into education we had conversations with multiple educational experts and used their experience to improve our efforts. On Tuesday the 16th of May 2017 the 17th edition of the Netherlands Biotechnology Conference (NBC-17) was organized by the Dutch Biotechnology Association (NBV). During this day, 135 professionals and students working in biotechnology connected and learned during several interactive sessions and keynotes about the latest developments and trends in their field. 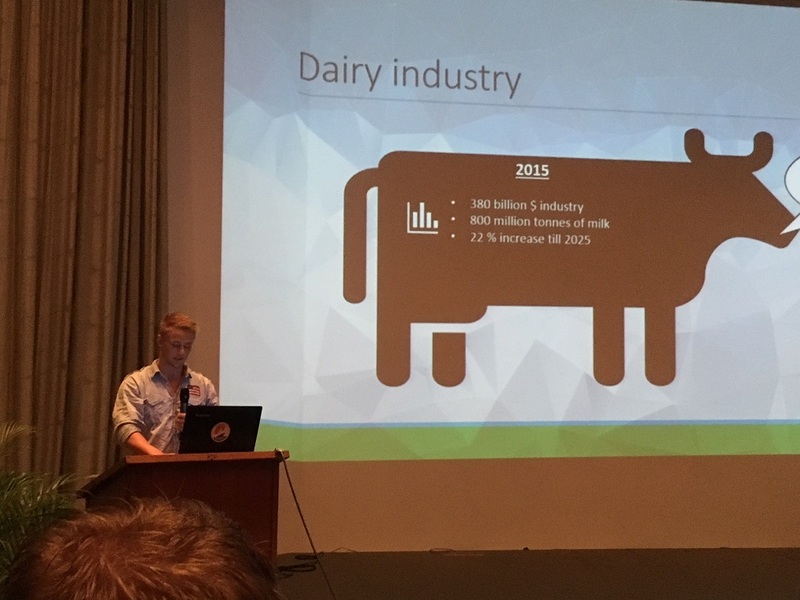 Here, we pitched this years’ Groningen iGEM project and were allowed to present our poster together with other Dutch iGEM teams! This years’ Maakfestival was held at the Groninger Forum and provided Dutch manufactures – in the broadest sense – who are living in the north of the Netherlands with the opportunity to excite teens about diverse technical projects. 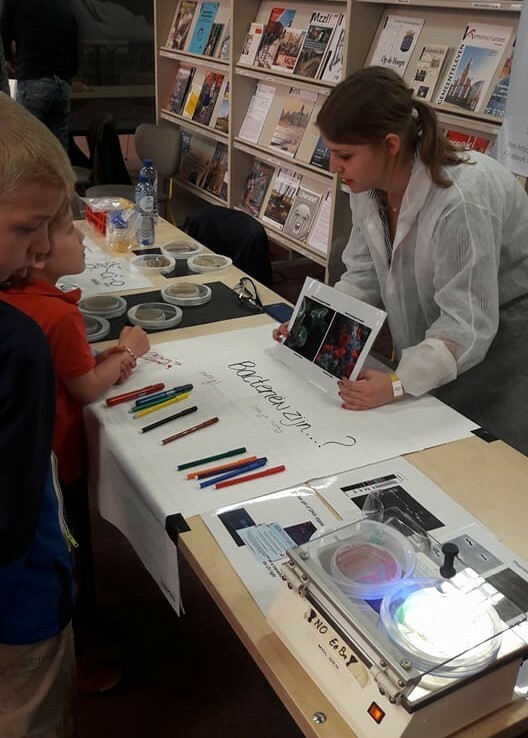 We had our own iGEM booth with various objects from the laboratory, such as (properly sealed) Escherichia coli bacteria with Green Fluorescent Protein and talked about bacteria to interested people from every age group. Participants were invited to write their own opinion on bacteria, ranging from ‘cute’ to ‘useful’. Besides that, Joana gave a short talk about iGEM and synthetic biology in one of the ‘maker talks’. Sometimes, we were surprised what some children already knew about bacteria. We were really stoked to introduce the fascinating world of synthetic biology to the next generation of scientists. 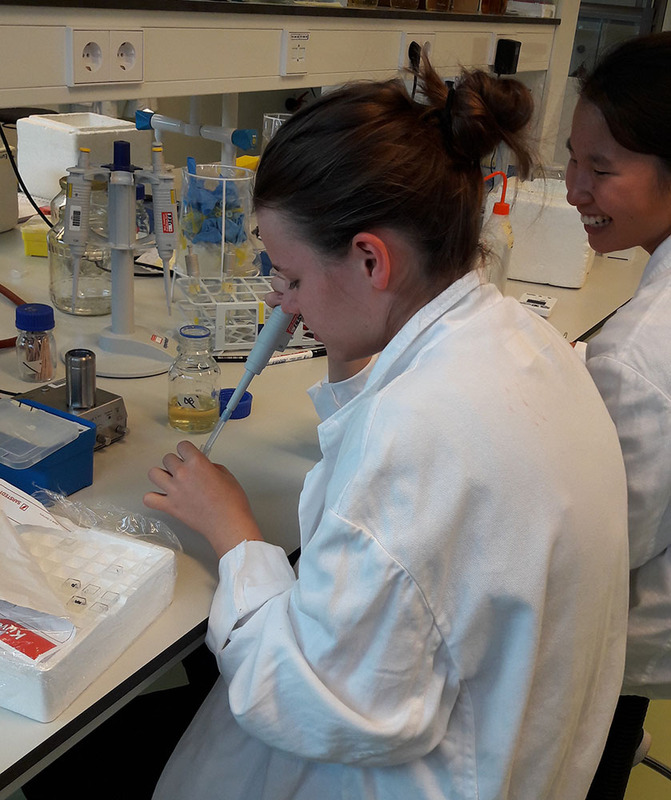 In collaboration with KLAS (Knowledge Link through Arts and Science) and the University of Groningen we introduced Agnes Meyer - Brandis into our lab and to the world of synthetic biology between July 31 and August 4. 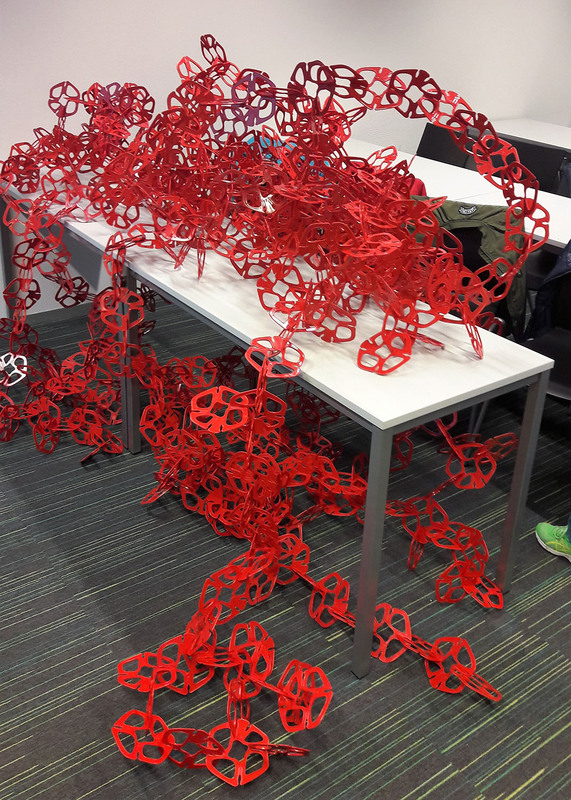 According to KLAS synthetic biology seems the perfect framework for artists to get inspired. Agnes wanted to gain insight in how synthetic biology could help trees walk to escape climate change (she is an artist :)). During the time she joined us, we talked about the possibilities of synthetic biology, what DNA and proteins are and what our project is about. We hope her week with us has provided some inspiration for herexposition. EVOLVE was set-up on the Noorderzon Performing Arts festival in collaboration with Science Linx, GELIFES (Groningse Institute for Evolutionary Life Sciences) and the European Society for Evolutionary Biology (ESEB). Various experiments and expositions are supposed to demonstrate hands on how evolution works (more or less). An Evolution café was set up where people could meet while engaging the interesting topic of evolution. We participated on two days to present our project and synthetic biology. 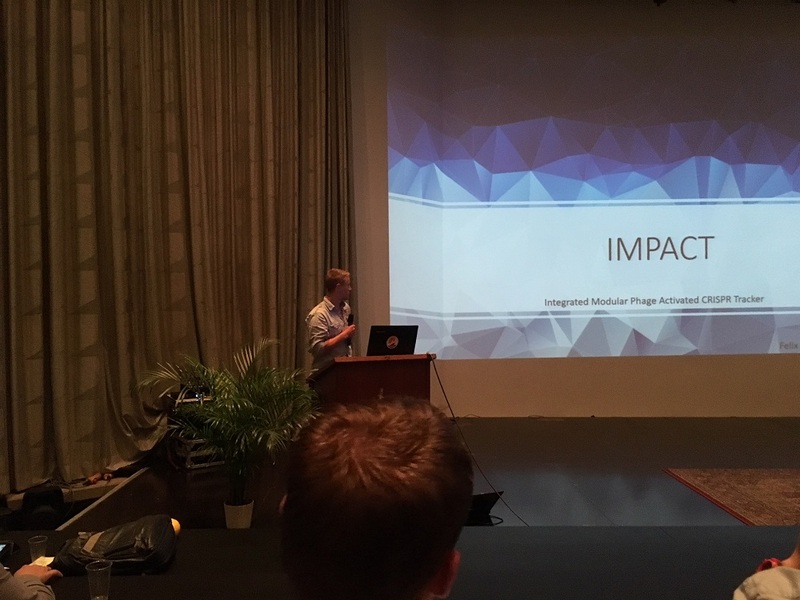 We attended the 12th LAB Symposium in Egmond aan Zee on the 28th of August. This is the most important yearly scientific conference on Lactic Acid Bacteria. Thanks to the organizing committee we were able to attend the symposium for one day with three people of our team. 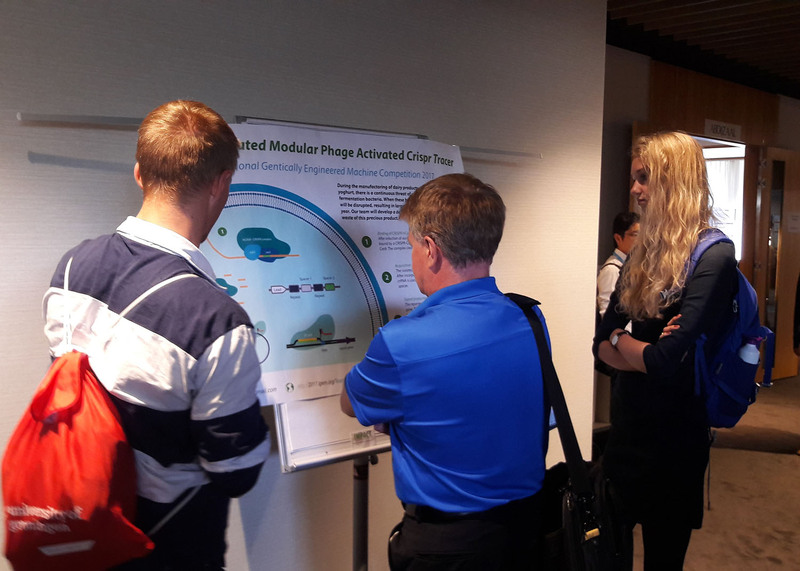 It gave us the opportunity to present our poster during the poster sessions and to talk to researchers who are specialized in working with CRISPR-Cas, bacteriophages and Lactococcus lactis. We talked with Douwe van Sinderen, a leading expert in bacteriophage research of the University College Cork, and Sylvain Moineau, one of the key scientists in the development of CRISPR technology. The Groningen Biomolecular Sciences and Biotechnology Institute (GBB) is the centre for biomolecular sciences at the University of Groningen. We were invited to present our project and display our poster for subsequent discussion sessions. This enabled us to outline our project idea to local scientists as well as receive questions that stakeholders could also possibly ask us. 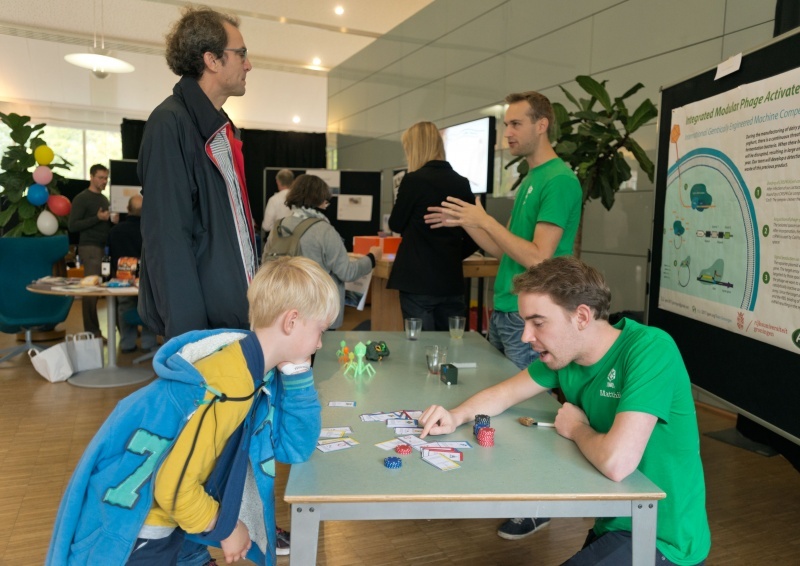 After our collaboration, we were invited by the RIVM to join their event RIVM Kennisparade together with all other Dutch iGEM teams. Approximately 1500 visitors were present this day. We were part of the biotechnology section where we represented biotechnology. We were excited that so many people were interested in our project and wanted to know more about it. We had some great discussions with visitors about synthetic biology, especially the ethical aspects of it. Surprisingly, we got only positive reactions about our product design, even if it would be used in a factory! 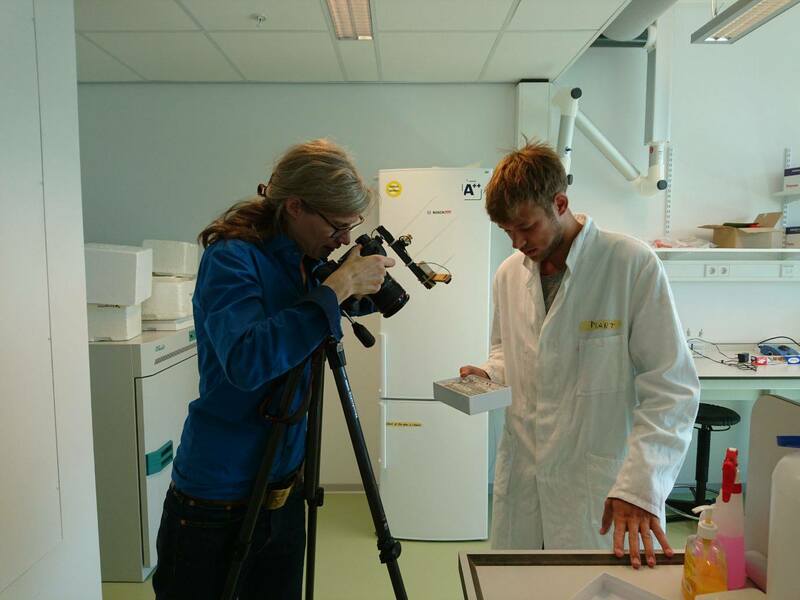 We met with Ferdinand van der Graaf to discuss the game we are designing about synthetic biology safety. He works as a researcher at the UMCG hospital, the biggest hospital in the Netherlands, as well as a teaching at a local high school. In his teachings, he uses a lot of educational games and has previously designed a game to teach about natural selection. We talked about how to implement game elements in a balanced way while not sacrificing too much of the learning experience. Furthermore, he recommended sticking to tried and true game elements that work, something we found to be true too. On the 15th of September we provided a lecture for KIVI, which is the Dutch Royal Institute of Engineers. Around fifteen people with different backgrounds attended the lecture: students, researchers and employees in industry. Something they all had in common was their interest in our project. The lecture was given by Felix. He prepared a presentation, where he explained all the steps of our project, as well as more general aspects of the iGEM competition and applications of biotechnology. After the lecture, we had a discussion where everyone shared their opinions. For example, what changes would you make to our product design, would it be a problem for you if companies use our product on the factory floor, would you still buy the end product and so on. Afterwards, Matthijs gave a tour of our summer home (laboratory) as well as elaborating on the techniques we use and their mechanism of action. 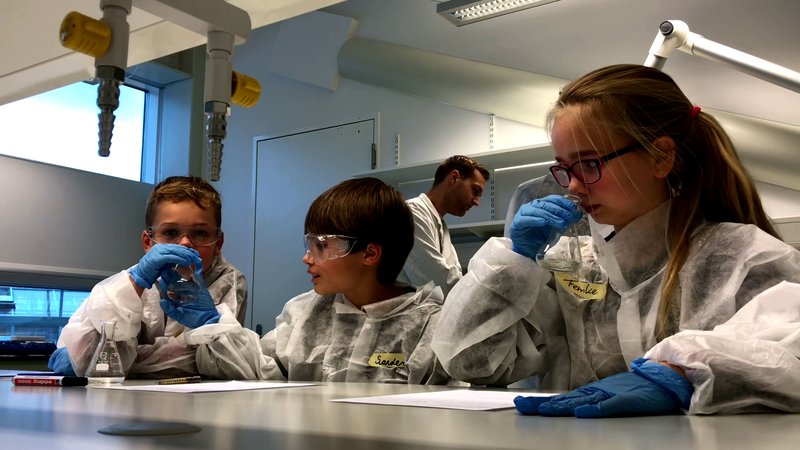 De Jonge Onderzoekers (The Young Researchers) aims to excite young kids, ranging from 8 to 18 years old, in science and technology. To this end, they organize various courses including the course Nature and Science. We contacted Richel Bilderbeek to give us some tips about preparing lessons for children from 10 to 12 years old. He is highly experienced in educating 7 till 18 year-olds. 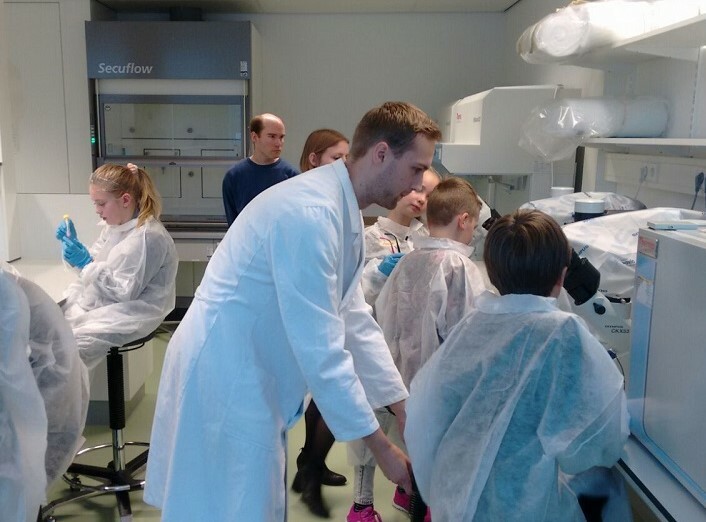 On the 22nd of September, two members of our team visited one of the extremely popular Friday evening course of Nature and Science, led by Richel in Groningen, to witness first-hand how to attract children’s interests in biology or science in general. Afterwards, we talked with Richel and he provided us with many tips which turned out to benefit us a great deal. You can find more information about our own course below. The Scholierenacademie organizes activities for primary school and high school students and this year, together with Stichting Openbaar Onderwijs Oost-Groningen (SOOOG), they set-off a new project which aims to interest East-Groningen (tangentially less fortunate socioeconomic background) primary school children in university and Biological sciences. Together with project-leader Douwe van der Tuin we turned the project into reality. The general goal is informing the kids about the university. What do students do? What am I, a molecular biology student, doing in a laboratory? 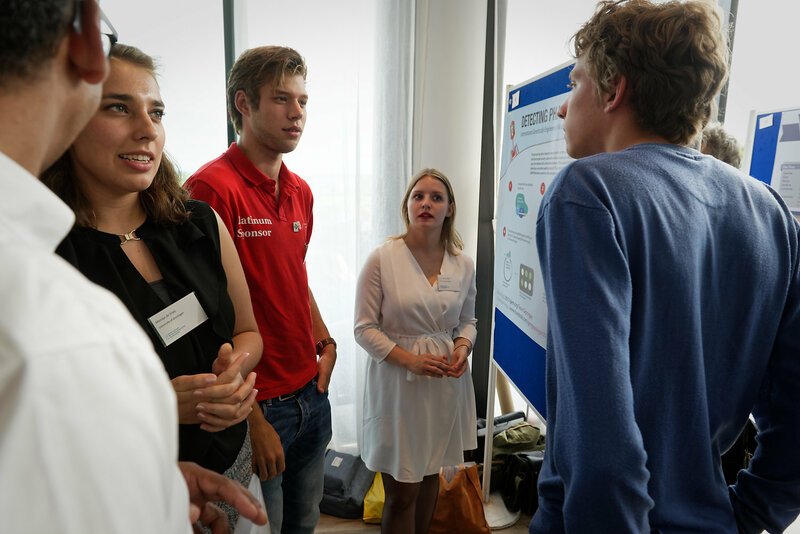 The Scholierenacademie initiated this project since research has shown that kids from the eastern part of the province Groningen tend to choose higher education less frequently. 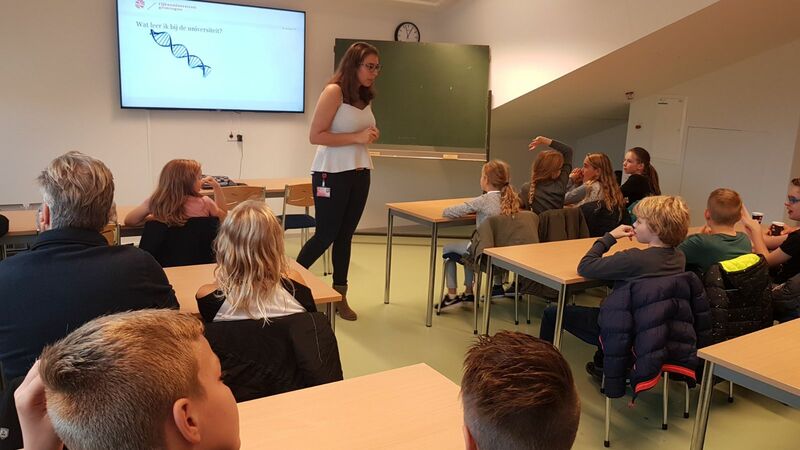 By starting really early with informing these kids about the potential of an academic career, the Scholierenacademie hopes to attract more interest and offer these kids a more informed decision. We went to nine schools to give a guest lecture. 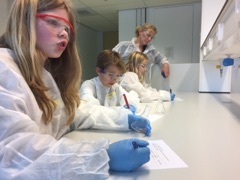 A few days later, the children came to the lab to do some experiments themselves. We designed a one-hour guest lecture and a two hour practical at the Linnaeusborg, University of Groningen. In the guest lecture the children learned in an interactive way about the function of enzymes. Two kids were blindfolded, they were the reagents that had to react with each other. This was of course very difficult. Then the third kid came in to assist, acting as the enzyme. The 'enzyme' had two binding places, the hands. The enzyme could bind very specific to the two 'reagents' and help to speed up the reaction. In total, we welcomed over 200 primary school children between 9 October and 13 October. The local newspaper even dedicated a reporter to write an article (Dutch) about this joint venture. 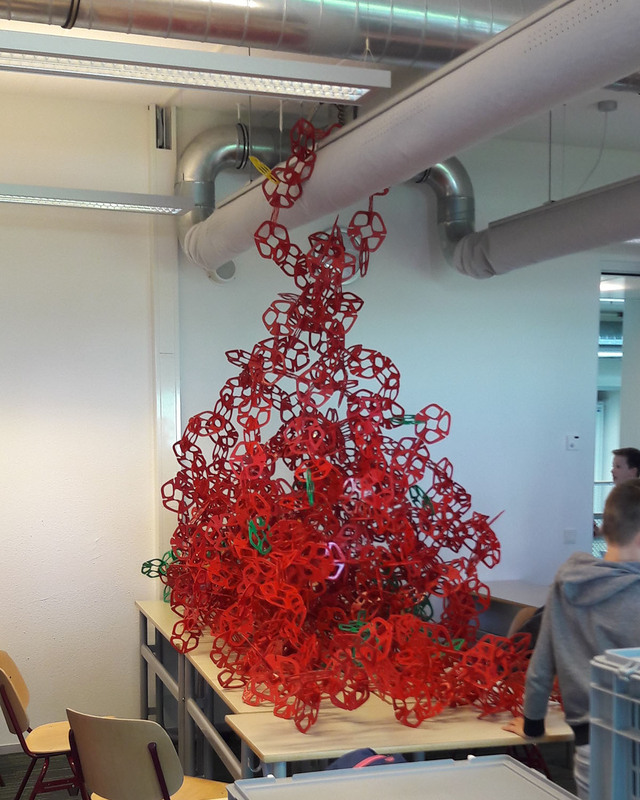 Science Linx offers high school students in the Netherlands the possibility to engage with the Science and Engineering faculty of the University of Groningen. They organize and support various activities with the aim to excite kids in the sciences. Science Linx has already been a Groningen iGEM sponsor for many years. 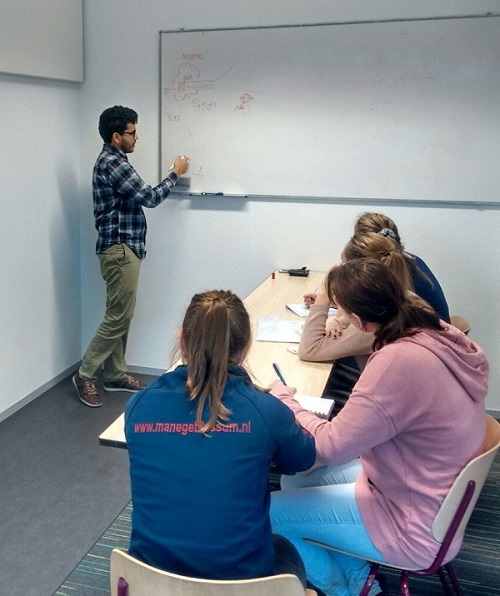 In turn, we aid them with various projects including assisting high school students with their Profiel Werkstuk (Profile Assignment in English, a short research internship). We welcomed a total of 12 high school students which experimented in our lab based on their own ideas. 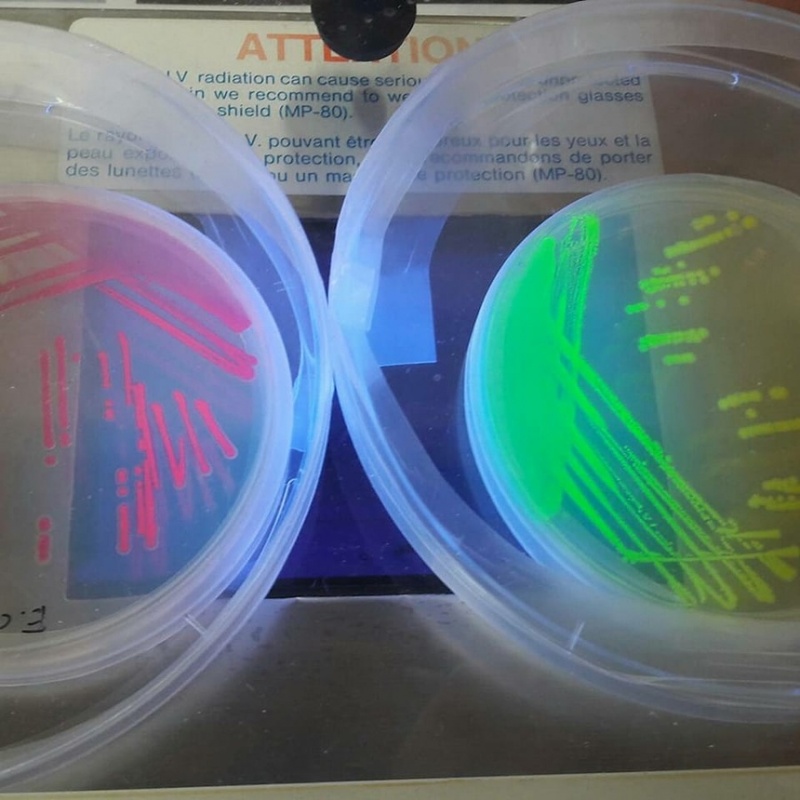 Two groups wanted to study antibiotic resistance in bacteria. The others were interested in CRISPR and we let them participate in a small part of our own project! 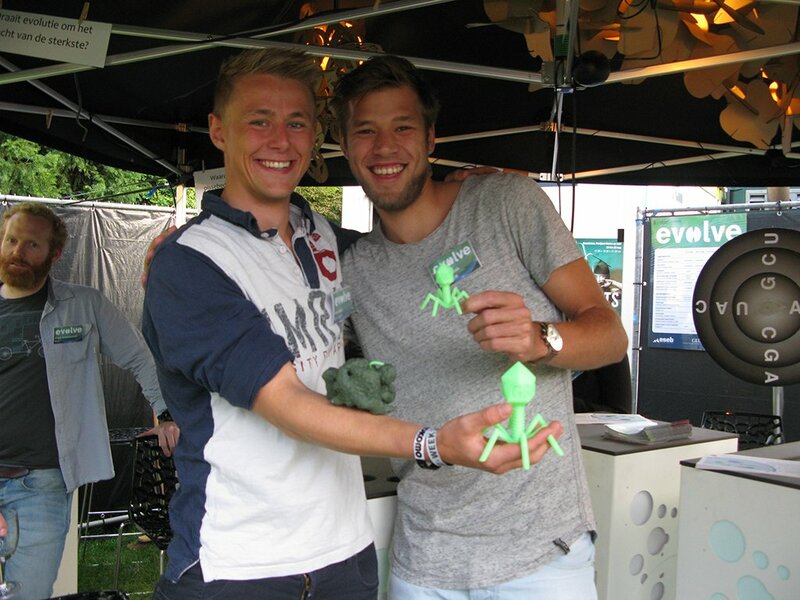 The Noorderzon EVOLVE participation was also in cooperation with Science Linx. For our high school thesis we searched for some place to do our research. Our subject is about antibiotic resistance and of course, it was not possible to do an experiment with antibiotic-resistant bacteria at school. Besides, we thought it to be very interesting to do our own research in a real laboratory. Meintje has helped us very well while conducting our research. Her colleagues in iGEM have also meant a lot to us. We learned a lot in the four days we worked at the lab. Antibiotics were our main focus during our research. 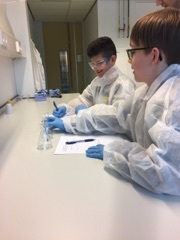 We have looked at different times and concentrations to determine if the current antibiotic treatment could be shorter and/or with a lower concentration. 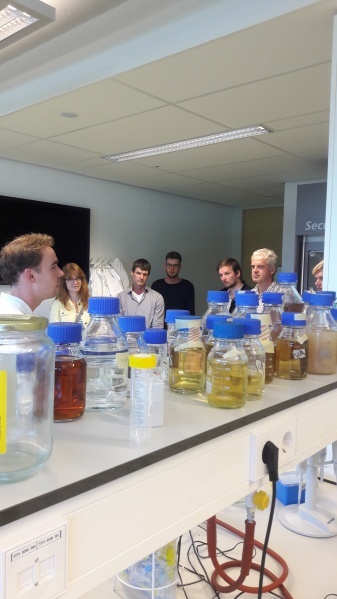 We are extremely grateful that iGEM Groningen has given us the opportunity to stand next to them in the lab. This has played a very important role in our research. We, therefore, thank them greatly and wish them good luck with their iGEM project. Hi, we are Anne and Susan. We are both in the last year of high school and emailed the iGEM team of the University of Groningen if we could join in with their research for our profile assignment (Dutch: profiel werkstuk). The iGEM team has offered us this opportunity and we are looking back on two great days! We had excellent guidance from this friendly team. At the lab, there was a nice atmosphere while the students were all working very hard and driven by their ground-breaking research. This was fun and motivating to see. After the time in the lab, we got all our questions answered, which was very nice. In short, a super fun and educational experience at the University of Groningen with the iGEM team! During the summer we supervised two Honours Bachelor students with their own synthetic biology project. "For the Honours College, we wanted to perform a deepening research in the 2nd year. We wanted this research to be related to microbiology. 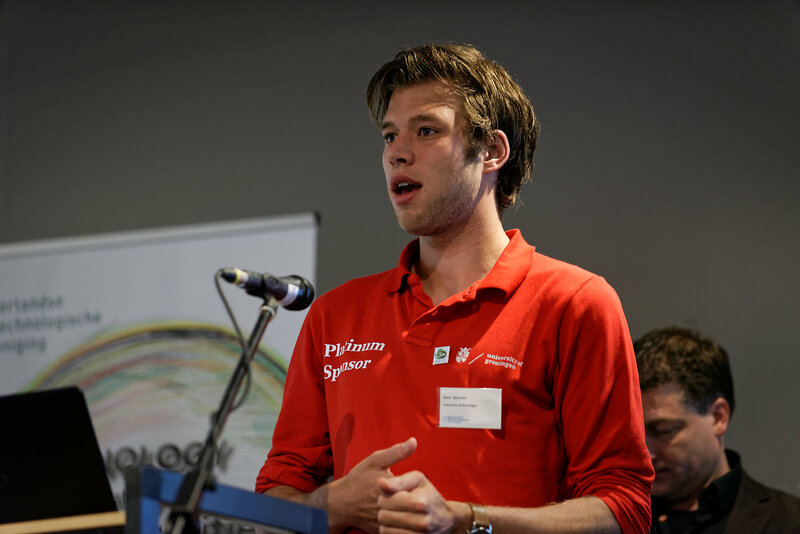 So one of us then came with the idea to contact the iGEM team of Groningen. We told them that we would like to try to transform bacteria in a way so that they would digest microplastics. We quickly got a response from the iGEM team and they stated that they were glad to let us do our research within their research group. A meeting was set up to meet with 2 PhD students to talk about our plans. The team was very helpful during this starting phase since we had never set up our own research yet. After a couple more meetings our plans took a more realistic shape due to the tips iGEM feasibility. After all these meetings it was time to start working in the lab. Here we got assigned a supervisor which we could ask questions and he helped us get started. The further we got into the 3 weeks of our research, the more responsibilities we got from the iGEM team. Working on your own in a lab on your own research was a new and very instructive experience. At first, we had to get used to this responsibility, because in our regular program all practicals are structured perfectly around you as a student, and so you do not come across the challenges of a real research. An example of this was our strain of bacteria, which was not as competent as we were used to. All in all, we learned a lot about dealing with unexpected complications during synthetic biology research. 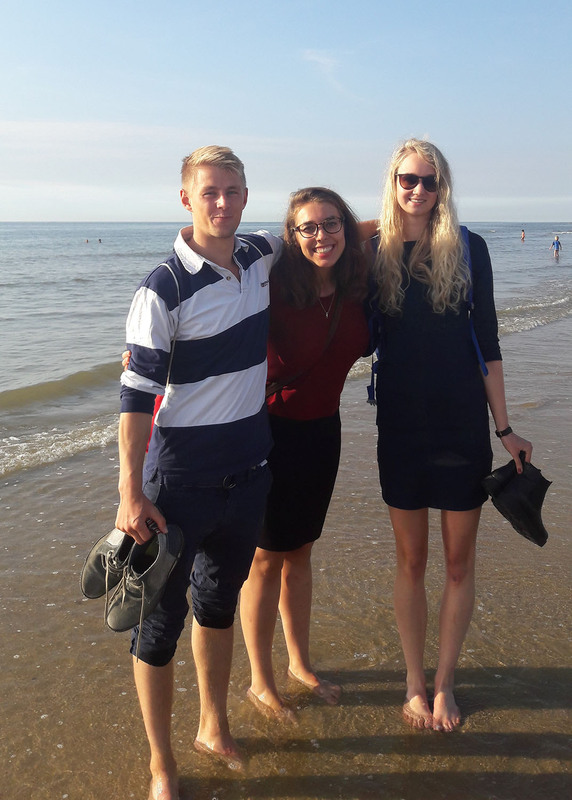 Therefore, our time with the iGEM team has enriched us with many new experiences." Education Card Game - Outbreak! For our safety proposal for the RIVM we said we would make a card game. The game had to be fairly simple to explain and quick to play since few people would otherwise put in the time. Inspired by such games as Boonanza and Sushi Go, we quickly made a game where you would play dairy products worth some points and infect the products of other players to make them worth less. It worked pretty well but it was deemed to be more fun than educational, especially after talking again to Jaco Westra. So we went looking for a different type of card game, a so-called "serious game". 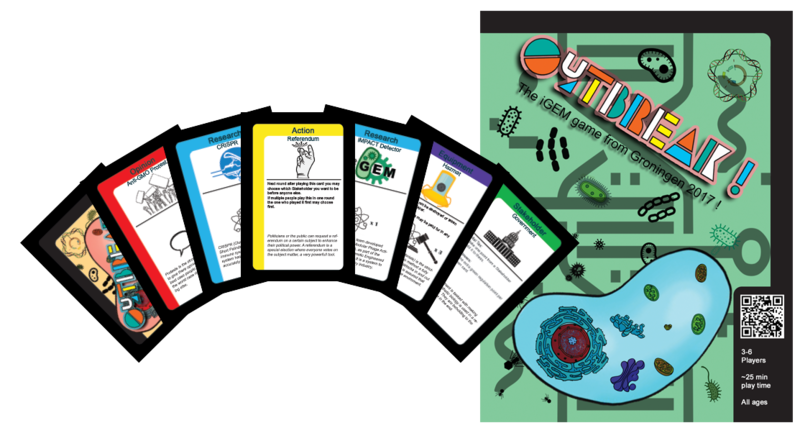 First, we had the idea to make an RPG style game more akin to Munchkin, where you would level up your "preparedness" to win and defeat synthetic biology inspired threats as a stakeholder. Preferably in a cooperative way, but making card or board games cooperative is a challenge in and of itself. Do not think too much about the "serious gaming" aspect, if a game is not fun enough to play there's no point. Especially children read fluff (the little info text on cards) text and take it to heart. To make a game co-op you must include some mechanism external to players (something we did not end up using). To keep as close as possible to an existing game, since those games are already fun and balanced. To look at Machiavelli for inspiration, instead of a RPG game. The game as it is, meshes quite well with the RIVM theme of "Thinking before doing", we presented this at the Kennisparade too. Of course, we wanted to print it professionally, including fiches and instructions.